A generation of children forced to live without words. It begins as a statistical oddity: a spike in children born with acute speech delays. Physically normal in every way, these children never speak and do not respond to speech; they don't learn to read, don't learn to write. As the number of cases grows to an epidemic level, theories spread. Maybe it's related to a popular antidepressant; maybe it's environmental. Or maybe these children have special skills all their own. The Silent History unfolds in a series of brief testimonials from parents, teachers, friends, doctors, cult leaders, profiteers, and impostors (everyone except, of course, the children themselves), documenting the growth of the so-called silent community into an elusive, enigmatic force in itself—alluring to some, threatening to others. 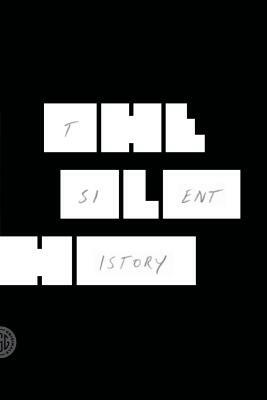 Both a bold storytelling experiment and a propulsive reading experience, Eli Horowitz, Matthew Derby, and Kevin Moffett's The Silent History is at once thrilling, timely, and timeless. Eli Horowitz was the managing editor and then publisher of McSweeney's. He is the co-author of The Clock Without a Face, a treasure-hunt mystery; Everything You Know Is Pong, an illustrated cultural history of Ping-Pong; and The New World, a collaboration with Chris Adrian, from FSG. Matthew Derby is the author of the short-story collection Super Flat Times. His writing has appeared in The Anchor Book of New American Short Stories, McSweeney's, Conjunctions, The Believer, and Guernica. He lives in Rhode Island. Kevin Moffett is the author of Permanent Visitors and Further Interpretations of Real-Life Events. He lives in Claremont, California.